Let our Hugs hug you! 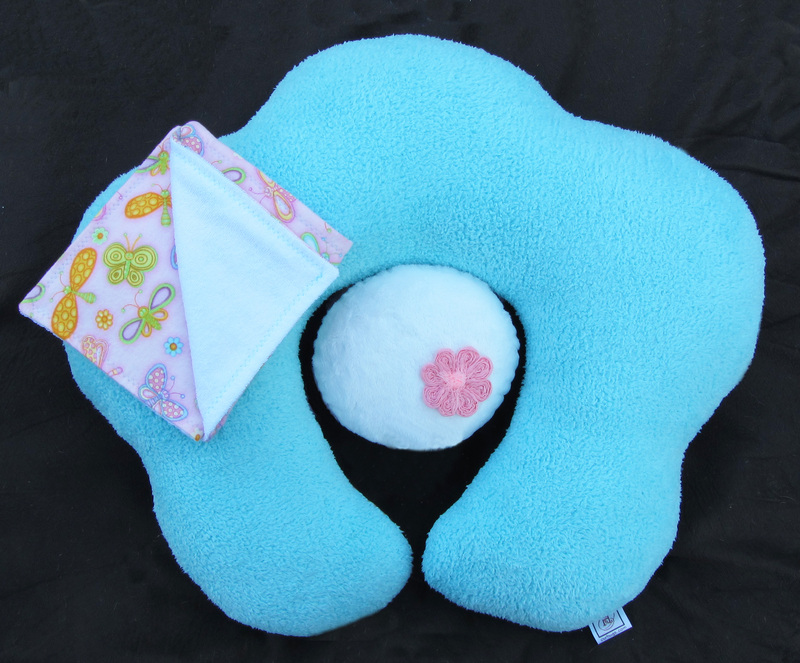 Our handmade in the USA nursing pillows will embrace your waist, cuddle your baby and snuggle your heart. Made from high-quality, ultra-soft fabrics, you’ll feel like you’re living in the lap of luxury (no pun intended;) As if you don’t already have a hard time putting your precious little bundle down, you’ll find yourself making excuse after excuse for wrapping your Hug around you. 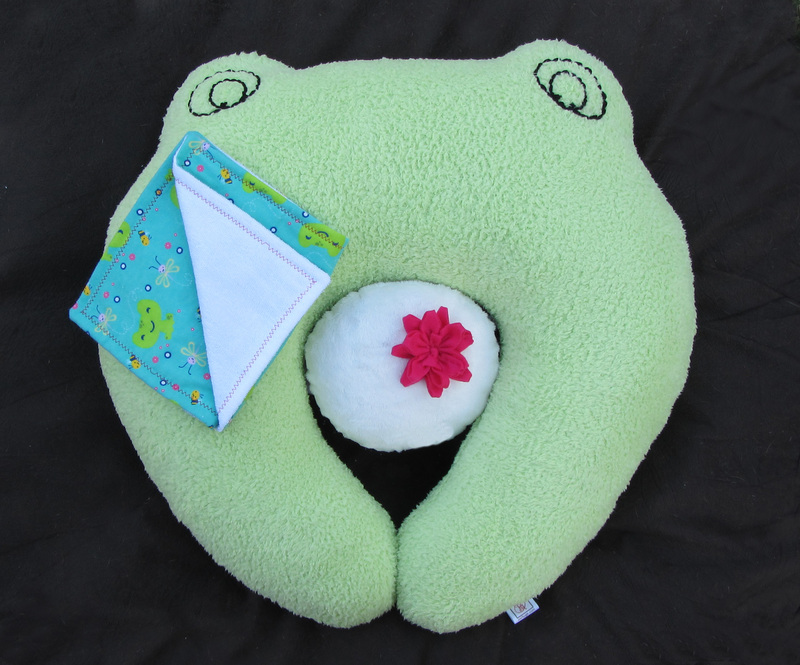 - A toy: Each pillow has a rattle inside for baby to shake, rattle & hold. 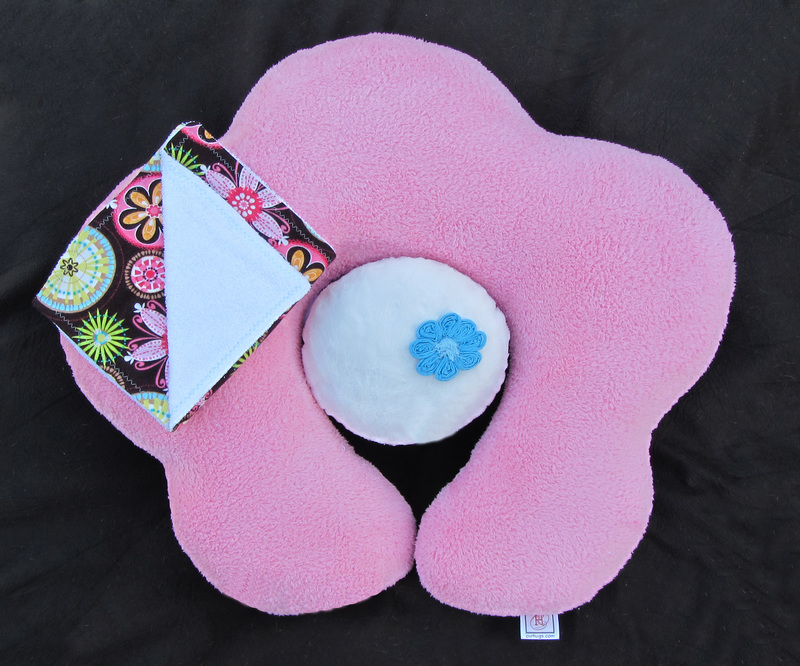 - An ergonomic accessory: These pillows sit perfectly in your hip, under your Hug nursing pillow, to prop baby’s head just enough for an angle that supports more efficient flow of milk into the body; decreasing gas discomfort and reflux. Being a new mother, we need to rely on convenience! That’s why we have added 2 pillow pads that protect your pillow from leaks and spit-ups. Simply lay the cloth over the area where baby is feeding. Once she’s finished, just move the cloth to your shoulder, give baby a few pats on her back and your done! Your pillow is just as clean as when you started! And all you have to do is throw the burp cloths in the wash!